After tin, filling Co2 is required only if the cashew is to remain in the tin for more than six months. c02 or n02 is about 2 to 3 min. per tin so about 300 tons/ hour. Carbon dioxide is an inert gas and will not support life. Secondly, carbon dioxide is soluble in cashew oil and goes into solution as soon as the seals are made. The packing needs to be resisted as cashew kernels are subject to rancidity and go stale very quickly. The grated and moisture conditioned cashew kernels undergo the normal packaging method for export, i.e. they are filled with 18Lt/ square tins, 25Ibs (11.34kg) to a tin. The Tin Packing (Vita) Machine operates by feeding the Cashew kernels into the vibratory filling machine through a pneumatic Foreign Matter Segregator (PFMS). 8 Tins (Leak tested and Tar weighed) are filled at a time; Filled tins are then weighed for a net weighed about 11.34 kg plus or minus 10gm using the electronic weighing scale. After filling and weighing, the cap should be soldered on in preparation for the 'vita pack' process. This consists of injecting inert gas viz. Carbon-di-oxide or Nitrogen into the filled tins. The advantages of packing cashew kernels in carbon dioxide or carbon dioxide is an inert gas and will not support life. Secondly, carbon dioxide is soluble in cashew oil and goes into solution as soon as the seals are made. Two tins are packed in a unit carton and strapped and stencil marked for delivery. The consignment is shipped after per-shipment inspection formalities. Oscar Cashew Tech Established In 2009 To Produce Cashew Processing Machinery By Three Young Professional With A Passion To Excel With In-House R & D Up - Grade Cashew Processing Technology To Suit Growing Needs Of The Cashew Processors By Introducing Automation In Cashew Processing And To Set A Bench-Mark For The Industry. The Machineries With Maximum Possible Yield, Easy To Handle And Law Maintenance. Our Specialized Engineering Team With R & D Experts Address The Needs Of Cashew Processing Industries. 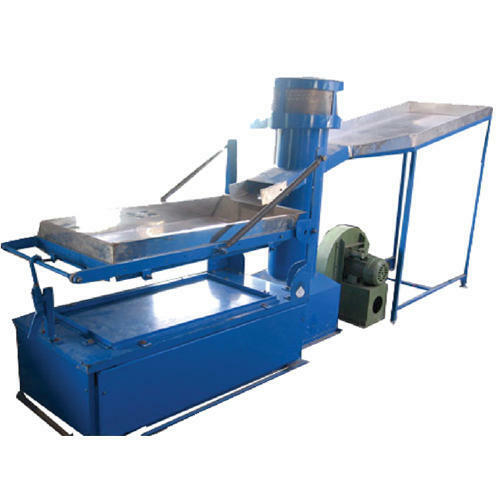 The Excellent Performance Of Our Machines Has Made The Cashew Processing Industry Around The World To Look Up To Us For Technology Up-Gradation From Time To Time. We are supported by team of highly qualified engineers, who are capable of engineering marvelous examples of human excellence. The impeccable quality of our products helps us to earn a substantial market base in both, the domestic and international market. Oscar Cashew Tech Offer Excellent After Sales Service To Keep Customer Running Happily. We Offer Customized Turnkey Projects For Cashew Nut Process Plants Of Any Capacity In Both Semi Automatic & Automatic. Our Standard Cashew Nut Process Plant Capacities: 160 Kg, 320 Kg, 500 Kg ,1000 Kg , 2000kg , 3000 Kg , 4000kg . Note: We Can Supply Cashew Nut Process Plant Of Any Higher Capacities Also.